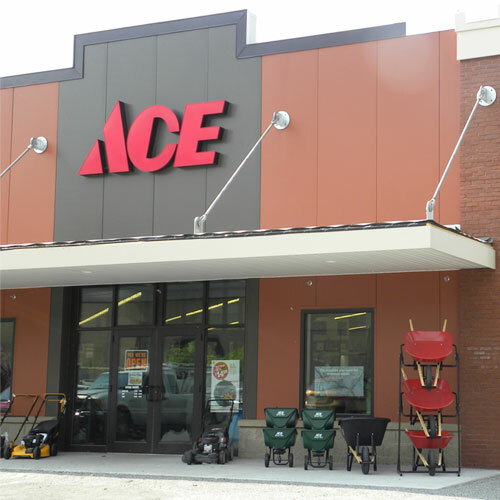 University Ace Hardware is the first store opened by local residents and owners David and Carolyn Fichtner. The store has been designed to reflect the needs of the Auburn-Opelika community, including solutions to everyday home improvement needs, as well as an extensive array of high-quality products in categories such as paint and lawn and garden. The store is packed with thousands of essential products and supplies, including some of the most respected brand names and best-selling items in the home improvement marketplace. Key product offerings include paint, lawn and garden, hardware, electrical, plumbing, automotive, lumber and home decor as well as brands such as Stihl, Craftsman, Husqvarna, Exmark Mowers, Yeti, Hobo, and high-end patio furniture, along with Consumer Report's number one rated paint, Clark and Kensington. University Ace Hardware also offers services such as small engine repair, propane fill, glass cutting, screen repair and key cutting.